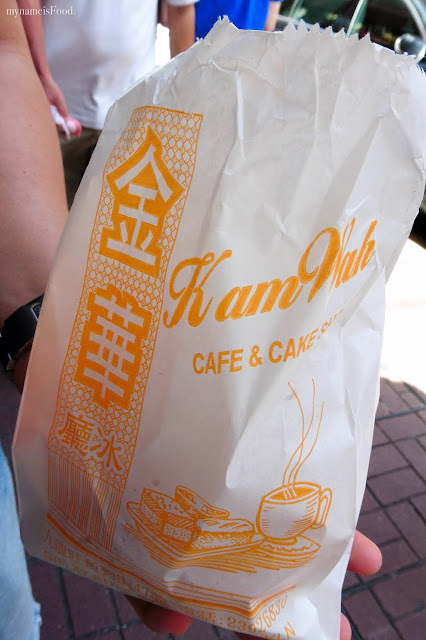 Kam Wah Cafe & Bakery - Mongkok, Hong Kong - my name is Food. When in Hong Kong, you feel like it's a must that you visit a local, typical Hong Kong Cha Chaan Teng of which Kam Wah Cafe is one. Serving local chinese dishes along with its signature Pineapple bun, egg tarts and milk tea. Since we just finished lunch, we decided to just order their signature Pineapple buns and Milk Tea. 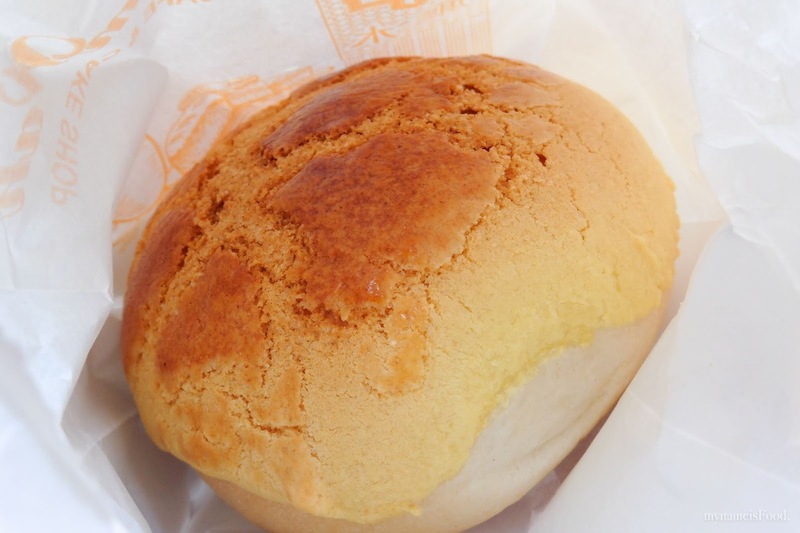 Why are they called 'Pineapple Buns' (bo lo bao) you may ask.. No, they don't have any hint of pineapple in it at all but due to its pineapple shaped sugar crusted buns, it became famous and was so called the 'Pineapple Bun'. Though I am unsure how that name came about because it doesn't look like a pineapple nor does it taste like one. With the Pineapple Bun, you can order the bun with a slab of butter sandwiched in between but we didn't. Might just be one big mess trying to eat and walk at the same time, and with the heat, we didn't want the butter to just simply melt everywhere. It wasn't warm but was a tad cold, and I thought it may have been due to the butter, but nope, we didn't order butter. A bit strange after the first bite but it was okay the next and onwards.. though I would've liked it more if it was warmer than how it was served. 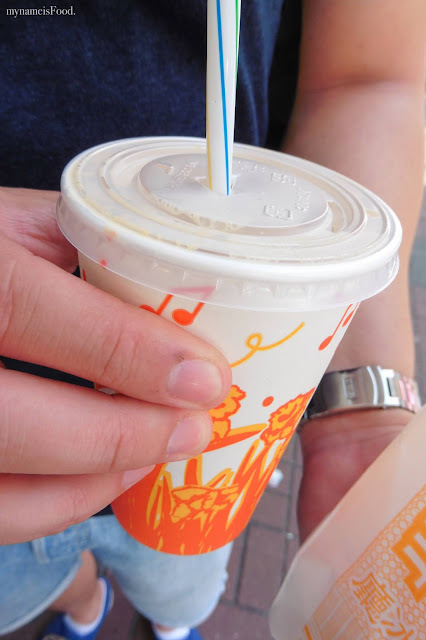 The Milk Tea was okay but it wasn't the best we had in Hong Kong. It was more of a house drink I guess, being served in a soft drink like cup with the plastic lid and colourful striped straw, just like McD.